Read more about CP/M, DR-DOS and how Microsoft became Microsoft here. CP/M was an operating system originally created for Intel 8080/85 based microcomputers by Gary Kildall of Digital Research, Inc. Initially confined to single tasking on 8-bit processors and no more than 64 kilobytes of memory, later versions of CP/M added multi-user variations, and were migrated to 16-bit processors. CP/M stood for either Control Program/Monitor or Control Program for Microcomputers (the latter being a backronym). 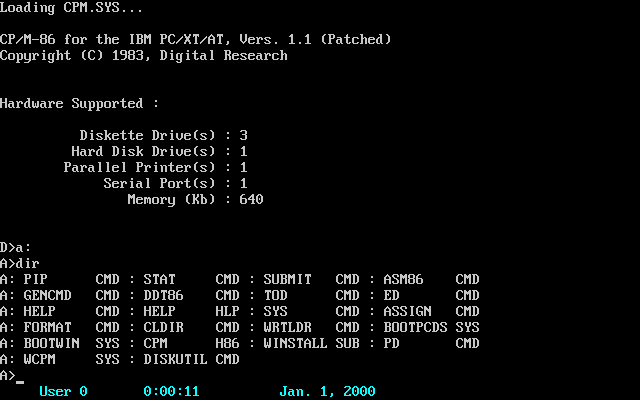 The name shows a prevailing naming scheme of the time, as in Kildall's/Intel's PL/M (Programming Language for Microcomputers) and Prime Computer's PL/P (Programming Language for Prime), both suggesting IBM's PL/I; and IBM's CP/CMS operating system, which Kildall used when working at the Naval Postgraduate School, and which, like TOPS-10, has clear similarities to the CP/M user interface and file system. Gary Kildall himself renamed CP/M in word form as part of the maturation of CP/M from personal project in 1974 to commercial enterprise in 1976. The combination of CP/M and S-100 bus computers patterned on the MITS Altair was an early "industry standard" for microcomputers, and was widely used through the late 1970s and into the mid-'80s. By greatly reducing the amount of programming required to install an application on a new manufacturer's computer, CP/M increased the market size for both hardware and software. At least one diskette drive. The only hardware system that CP/M, as sold by Digital Research, would support was the Intel 8080 Development System. Every manufacturer of CP/M compatible systems would customize portions of the operating system for its combination of installed memory, disk drives, and console devices. CP/M would also run on systems based on the Zilog Z80 processor since the Z80 was able to execute 8080 code. CP/M did not use any of the Z80 specific instructions. basic input/output system or BIOS. The CCP and BDOS were the same in all installations of a particular revision of CP/M, but the BIOS portion was always adapted to the particular hardware. Adding memory to a computer, for example, meant that the CP/M system had to be reinstalled. Once installed, the operating system was stored in reserved areas at the beginning of each floppy disk. On power-up, the ROM-resident bootloader would look for a floppy disk in drive A: and load from it the operating system. By modern standards CP/M was primitive owing to the extreme constraints on program size. With version 1.0 there was no provision for detecting a changed disk. If a user changed disks without manually rereading the disk directory the system would write on the new disk using the old disk's data, ruining the data stored on the disk. Starting with 1.1 or 1.2 this danger was reduced: if one changed disks without reading the new disk's directory, and tried to write to it, the operating system would signal a fatal error, avoiding overwriting but requiring a reboot (which took no more than a few seconds). The majority of the complexity in CP/M was isolated in the BDOS, and to a lesser extent, the CCP. This meant that by porting the limited number of simple commands in the BIOS to a particular hardware platform, the entire OS would work. This significantly reduced the development time needed to support new machines, and was one of the main reasons for CP/M's widespread use. Today this sort of abstraction is common to most OSs, but at the time of CP/M's birth, OSs were typically intended to run on only one machine platform, and multilayer designs were considered unnecessary. The command processor or CCP accepted input from the keyboard. All CP/M commands had to be typed in on the "command line" — the screen would show most often A> and would await input from the user. CP/M's command line interface was patterned after the operating systems from Digital Equipment, such as RSTS/E for the PDP-11. Commands generally took the form of a keyword followed by a list of parameters separated by spaces or special characters. If an internal command was recognized, it was carried out by the CCP itself. Otherwise it would attempt to find an executable file on the currently logged disk drive and user area, load it, and pass it any additional parameters from the command line. On completion of a transient program, CP/M would reload the part of the CCP that had been overwritten by application programs — this allowed transient programs a larger memory space. The commands themselves could sometimes be obscure. For instance, the command to duplicate fileswas named PIP (Peripheral-Interchange-Program), the name of the old DEC utility used for that purpose. The format of parameters given to a program was not yet standardized, so that there was no single "option character" that differentiated options from file names (only the last version of CP/M included options in square brackets fairly consistently). The basic disk operating system (BDOS) provided access to such operations as opening a file, output to the console, or printing. Application programs would load processor registers with a function code for the operation, and addresses for parameters or memory buffers, and call a fixed address in memory. Since the address was the same independent of the amount of memory in the system, application programs would run the same way for any type or configuration of hardware. The basic input output system or BIOS provided the lowest level functions required by the operating system. These included reading or writing single characters to the system consoles and reading or writing a sector of data from the disk. The BDOS handled some of the buffering of data from the diskette, but before CP/M 3.0 it assumed a fixed disk sector size of 128 Bytes, as used on single-density 8-inch floppy disks. Since most 5.25-inch disk formats used larger sectors, the blocking and deblocking and the management of a disk buffer area was handled by model-specific code in the BIOS. File names consisted of up to 8 characters, a period, then up to three characters as a file name extension. The extension usually identified the type of the file. 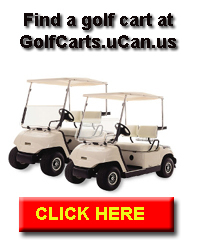 For example, .COM indicated a binary executable program file, and .TXT indicated a file containing ASCII text. File size was specified as the number of 128-byte records (directly corresponding to disk sectors on 8-inch drives) occupied by a file on the disk.There was no generally supported way of specifying byte-exact file sizes. The current size of a file was maintained in the file's file control block (FCB) by the operating system. Since many application programs (such as text editors) prefer to deal with files as sequences of characters rather than as sequences of records, by convention text files were terminated with a control-Z character (ASCII SUB, hexadecimal 1A). Determining the end of a text file therefore involved examing the last record of the file to locate the terminating control-Z. This also meant that inserting a control-Z character into the middle of a file usually had the effect of truncating the text contents of the file. File modification times (timestamps) were not supported, although some later variants of CP/M added this feature as an extension. CP/M 2.2 had no sub-directories in the file structure but provided 16 "user areas" to organize files on a disk. The user area concept was to make the single-user version of CP/M somewhat compatible with multi-user MP/M systems. A common patch for the CP/M and derivative operating systems was to make one user area accessible to the user independent of the currently set user area. A supported command was "USER x" where x is a value from 0 to 15. User 0 was the default. If one changed to another user, such as USER 1, the material saved on the disk for this user would only be available to USER 1; USER 2 would not be able to see it or access it. Since CP/M was a single-user operating system, no security was provided for the user command; nothing would prevent any user from logging in successively as any of the 16 users. The user area feature arguably had little utility on small floppy disks, though it was more useful for organizing files on machines equipped with large hard drives.